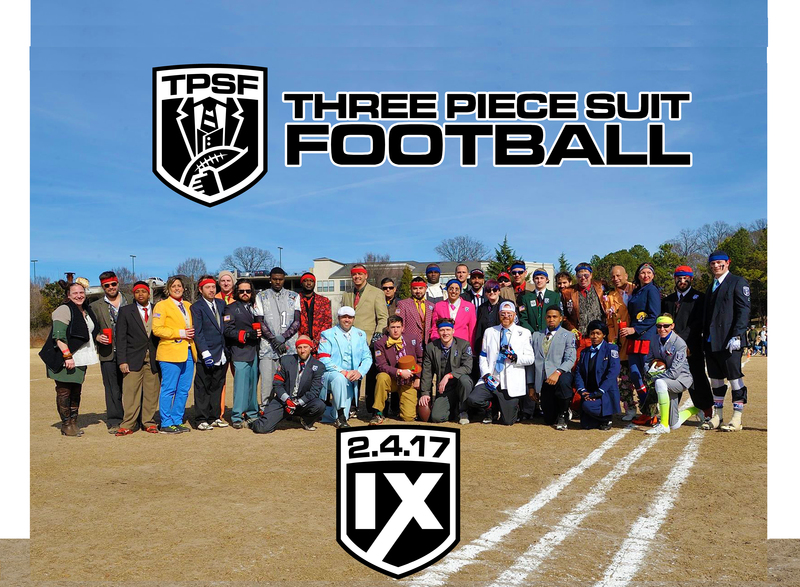 Three Piece Suit Football (TPSF), held in both Atlanta and Boston, is an organization that hosts charity events to support local veterans that features a game of tackle football played in three-piece suits. The first TPSF game was played in 2009, and is now in its 11th year! 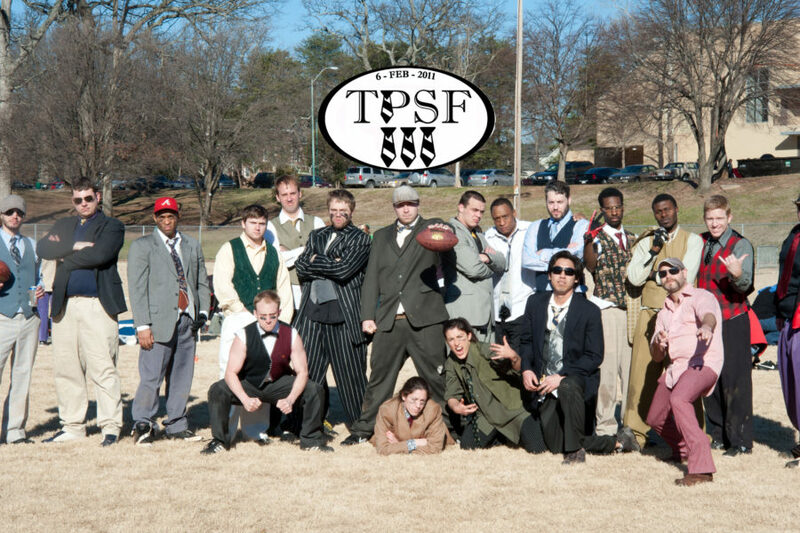 Click here ⇨ for upcoming events! 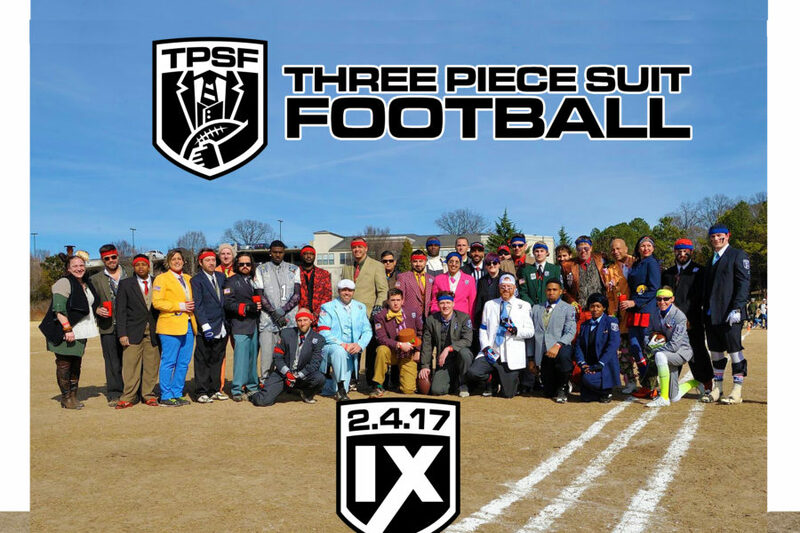 The TPSF Events support veteran charities and feature food trucks, beer/cocktails, live music, and a frisbee dog halftime show! 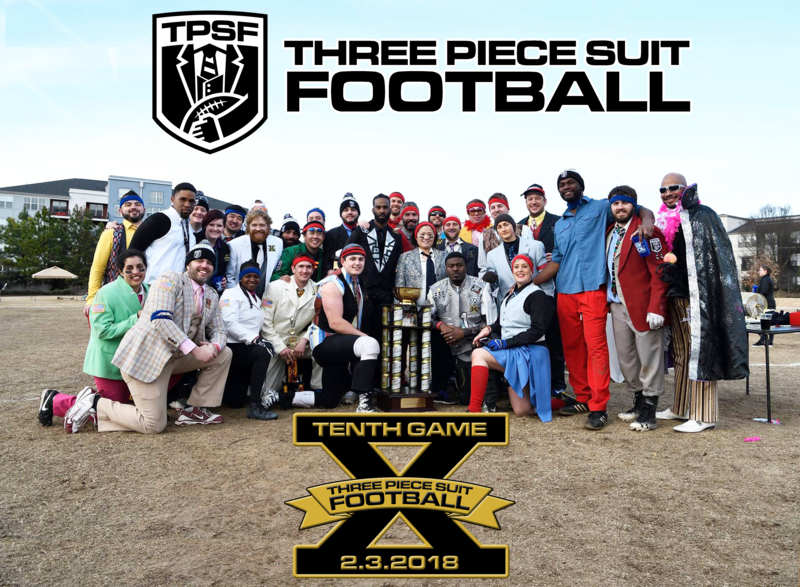 The centerpiece of the fun-for-all-ages TPSF festival is a picture-worthy game of tackle football being played by men and women wearing three-piece suits! 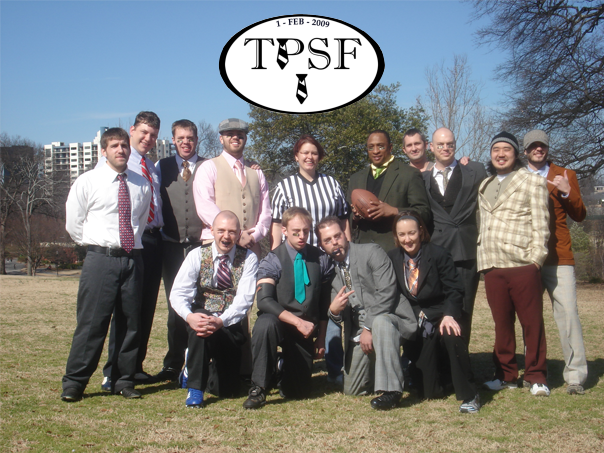 TPSF BOS is held at Roger's Park in Brighton, while TPSF ATL is held in the heart of Atlanta along the popular BeltLine urban trail, at the Historic Fourth Ward Skatepark athletic field! 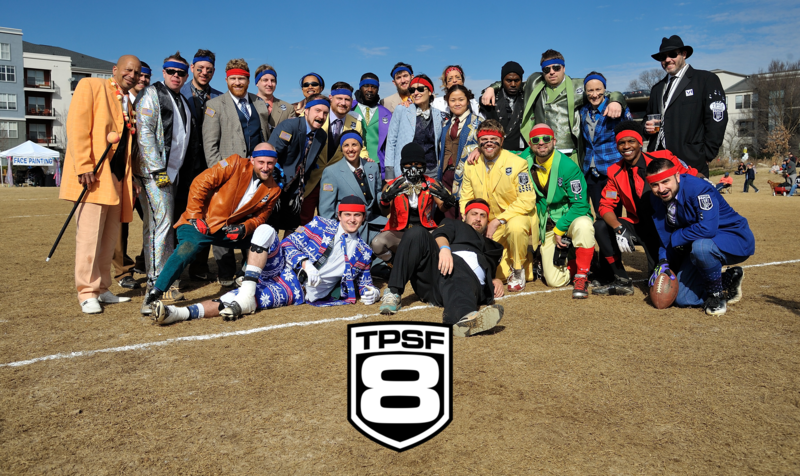 TPSF's mission is to invest in our community by supporting causes that provide local veterans with the best opportunities for success after their military careers have ended. This year's event will support both Pets For Vets and Battlefields To Ballfields. 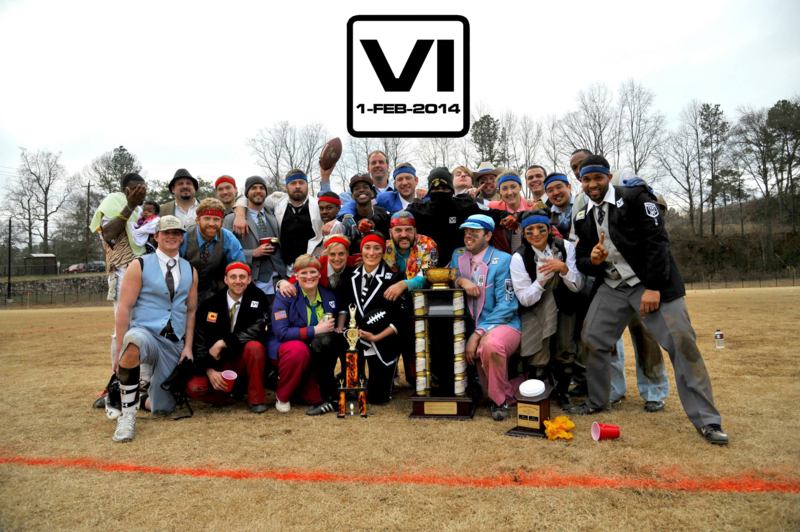 Don't miss out on these long-time Atlanta & Boston traditions supporting our Veterans! 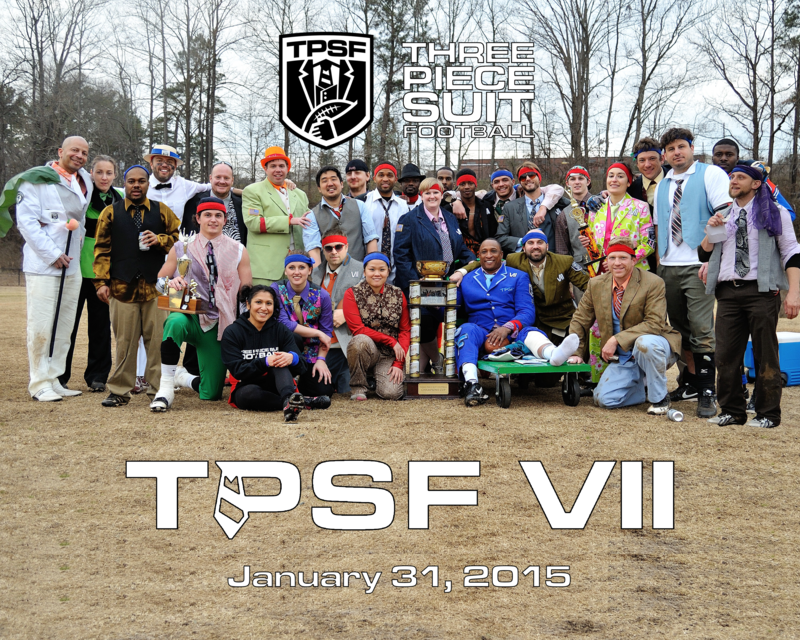 Find all the details on the Upcoming Events page! 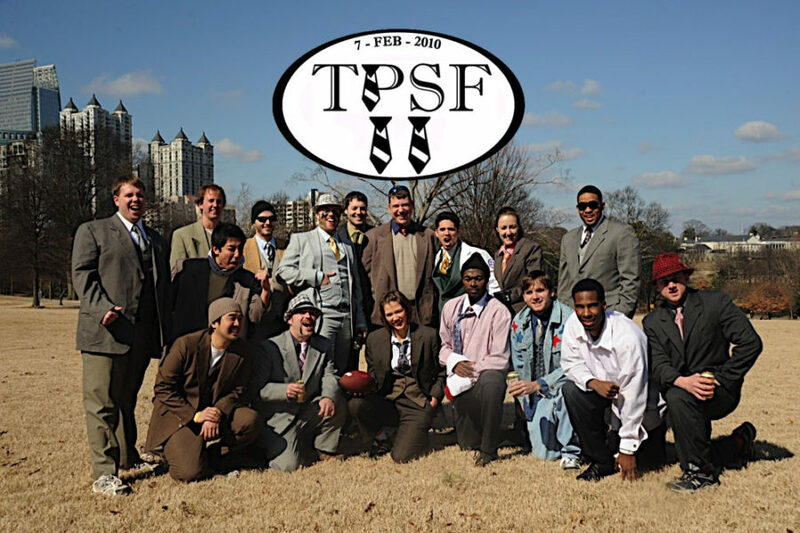 TPSF Boston at the 2019 St. Patrick's Day Parade! 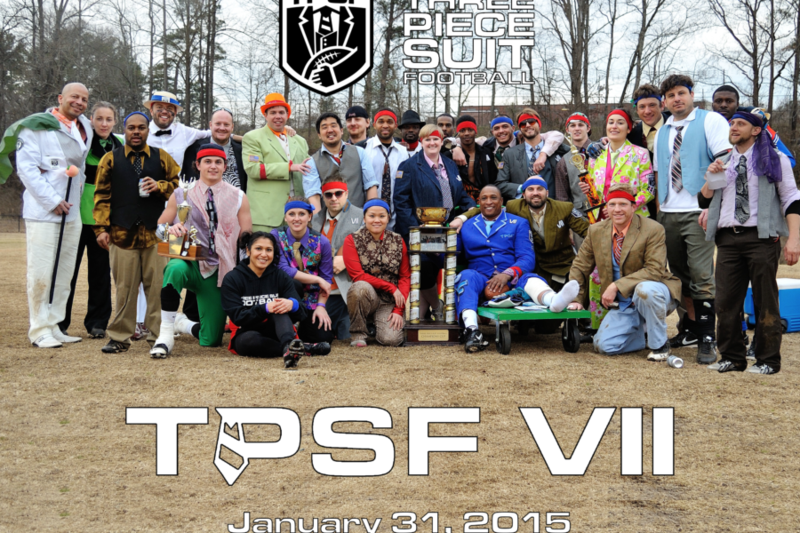 Over $31,000 raised at TPSF Atlanta to support Veterans! 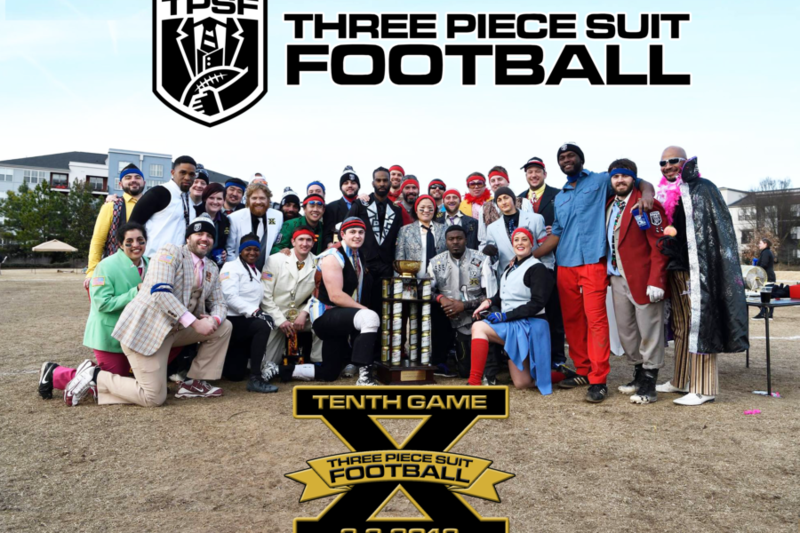 Super Bowl Tickets will be raffled off at TPSF! 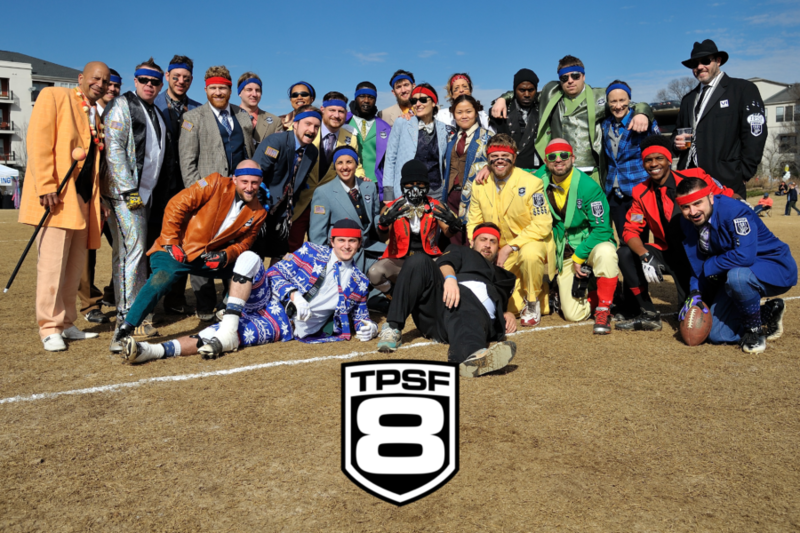 Mike Pereira to ref TPSF! 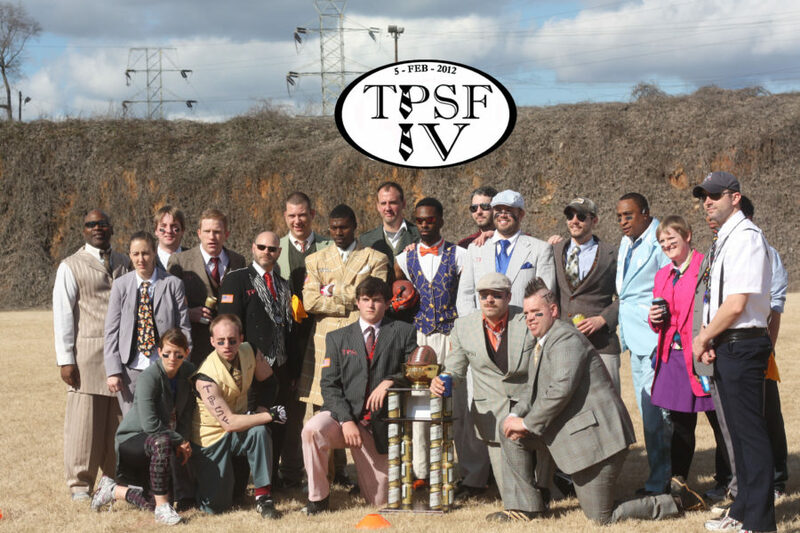 TPSF Boston is now supporting Operation Delta Dog (OpDD), which is a non-profit organization which rescues and trains homeless dogs to become service dogs for military veterans. 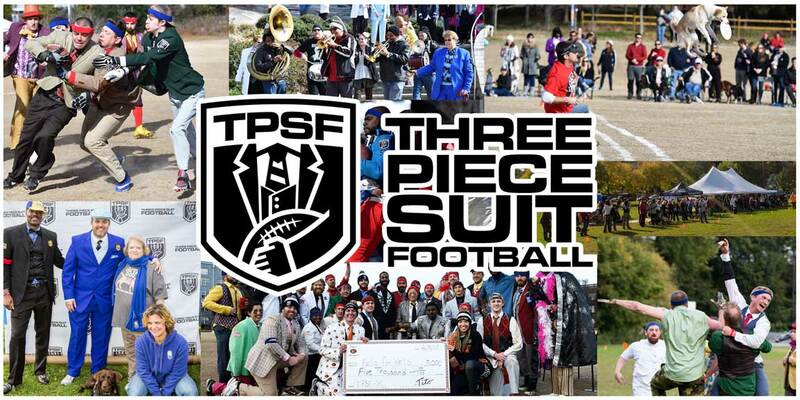 Click the DONATE button below to donate to OpDD with PayPal! 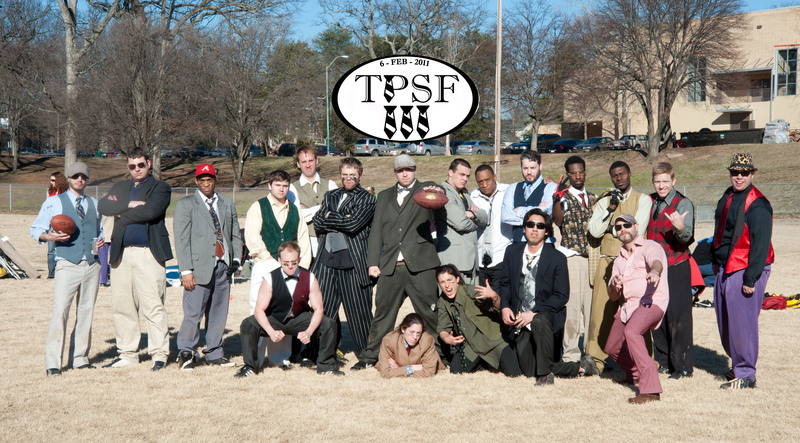 10 yrs of TPSF in ATL!